Scotland’s highest mountains are also the highest ones in the whole United Kingdom. The main mountain ranges of Scotland are the Highlands, which are located north and west of the Highland Boundary Fault. The islands off the coast also contain several tall peaks and other formations. There are also the hills of Scotland’s Central Lowlands, as well as the Southern Uplands. 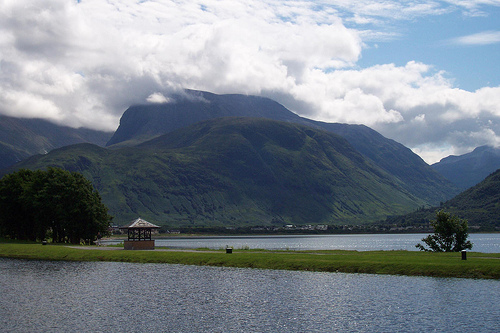 Ben Nevis is the tallest mountain of Scotland, as well as in the entire United Kingdom. It is 1,344 meters (4,409 feet) high, and often referred to as “The Ben.” It is part of the Highlands, in the Grampian Mountain section. Rock climbing, ice climbing and scrambling are all possible at Ben Nevis, but there are some easier options for common walkers or hikers. Its summit contains the ruins of a former observatory, as well as a shelter in case of bad weather. 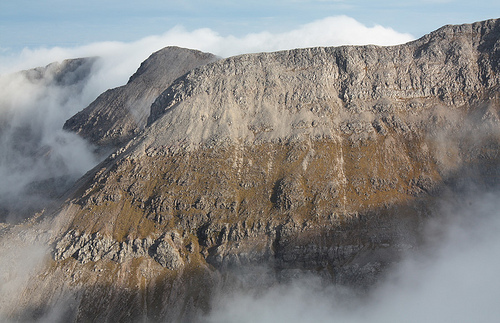 Beinn Eighe is situated in the Torridon part of the Highlands. It stands at 1,010 meters (3,314 feet), and forms a long ridge that has spurs and summits. The top of this mountain is covered in quartz, giving it a light color. It is a popular mountain for hikers and climbers to explore, and there are an array of different routes to go about it. 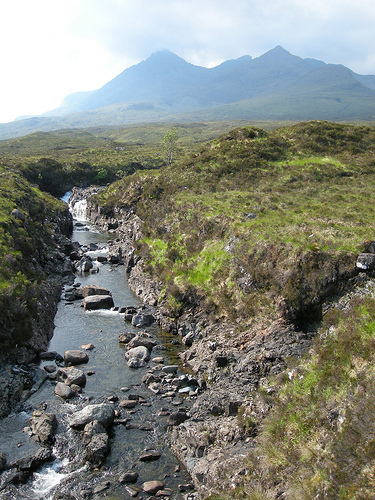 The Cuillin refers to a rocky mountain range that is situated on the Isle of Skye. The highest point of this range is Black Cuillin, which has a point of 992 meters (3,255 feet). This range is largely made of basalt and gabbro. These gabbro formations make the mountains a dark color, and they also provide a good grip for climbers and hikers when they go up. Once someone is up one of the rocky summits, it is possible to take another challenge and transverse the ridge, though this is quite difficult. Though it is not a very tall range, it is the only place in the UK to experience such jagged and raw mountains. 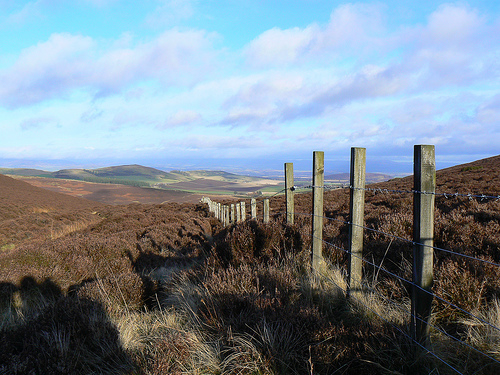 The Sidlaws are a 45-kilometer stretch of hills, in Perthshire and Angus counties in the Central Lowlands. Though the hills are not terribly high, it is a scenic rural area with great places to walk. 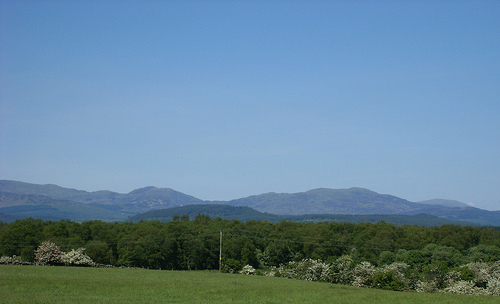 The Galloway Hills are a section of Scotland’s Southern Uplands. They are part of Galloway Forest Park, which is a large area of uninhabited wild land. There are three ridges, called the Awful Hand, the Rhinns of Kells and the Dungeon Hills. No comments? I ‘d like to see this county. I’ve been to Glasgow and enjoyed it, so I’m sure I’d enjoy these beautiful landscapes. Thanks for this information.